A student caught in the middle of a life-threatening car crash changed her career path to become a paramedic after her life was saved on the roadside. 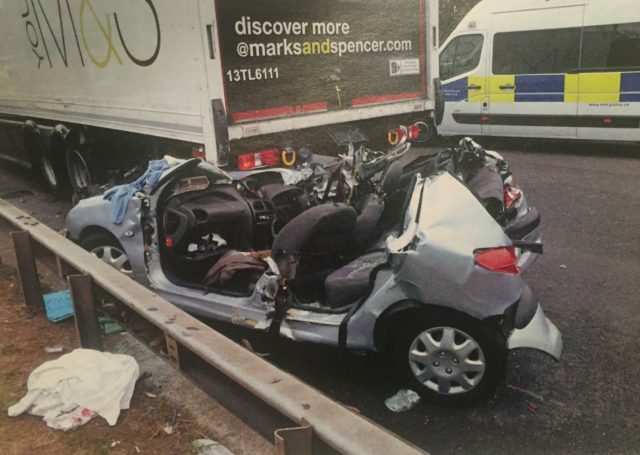 Molly Tarawally was driving on the North Circular road in north London when her car was crushed between two lorries. She was cut out of the car and suffered multiple injuries including broken bones, pelvic and facial injuries. 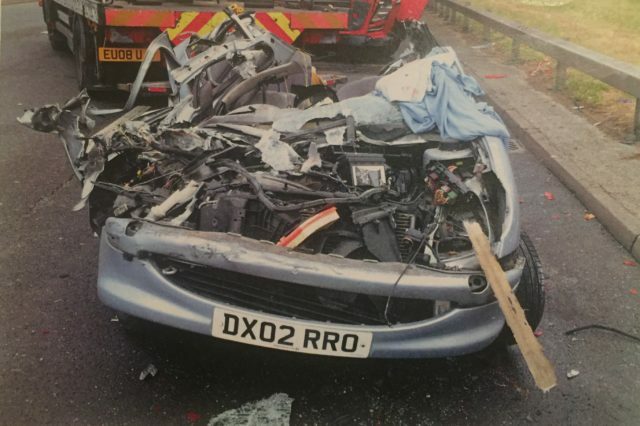 Pictures taken at the scene show how her car was completely destroyed in the crash. One of the emergency responders who helped treat Ms Tarawally at the roadside said it was the “worst” car crash she had ever seen. Ms Tarawally said she was inspired by the London Ambulance Service crews who saved her life. She hopes to complete her training in the same year that the health service celebrates its 70th anniversary. 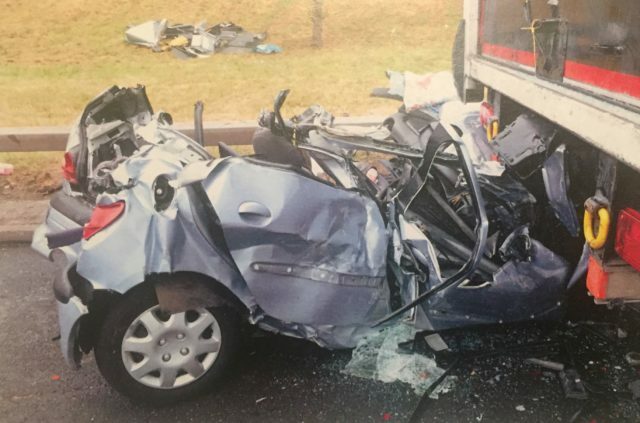 Ms Tarawally, who was 19 at the time of the crash and preparing to start a degree course studying geography, said: “The last thing I remember is seeing the lorry behind me and thinking it’s not going to be able to stop. The 22-year-old, from Enfield, north London, was treated at the scene for more than an hour before being transferred to the Royal London Hospital by London’s Air Ambulance. During her 10 days in hospital she decided to change career paths. “It gave me a lot of thinking time and it was while I was in hospital I decided I wanted to work for the NHS and change my degree to something vocational,” she added. Ms Tarawally is now studying for a Paramedic Science degree at Anglia Ruskin University – including a work placement with London Ambulance Service. When she qualifies next year she can apply for a paramedic role with the ambulance service which saved her life. She added: “Training to be a paramedic is hard work but it is so rewarding. Emergency Ambulance Crew member Rebecca Kenny, who was one of the first on scene to treat Ms Tarawally, said: “It’s the worst car crash I’ve ever seen and I remember being amazed that Molly was conscious and talking. I was holding her hand, trying to reassure her and she was remarkably calm. London Ambulance Service, which has 70 ambulance stations across Greater London, has three university partners which offer degrees in Paramedic Science – Anglia Ruskin University, University of Hertfordshire, and University of Greenwich. The service, which employs more than 5,000 people, is currently recruiting more ambulance crew, control room staff and back-office staff including fleet support, finance, information technology, human resources and administration.